Adjacent to the entrance gate to Mt. 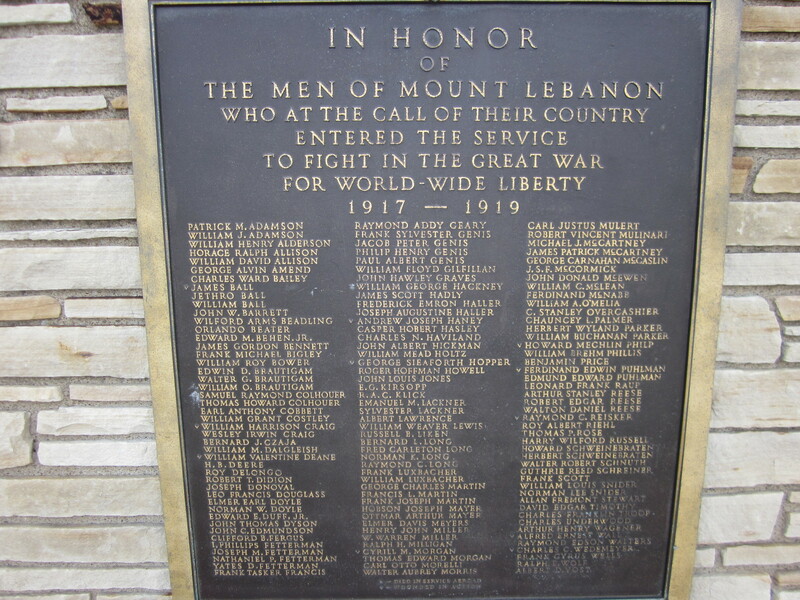 Lebanon cemetery, the Mt. 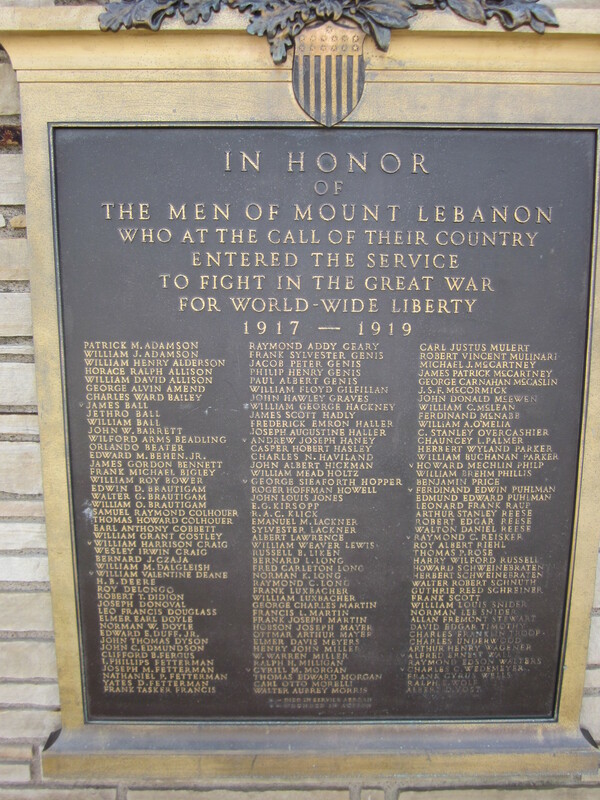 Lebanon World War I memorial is composed of an honor roll with 135 names topped with a large eagle attached to a specially built support wall (that appears to be of more recent vintage than the undated plaque). 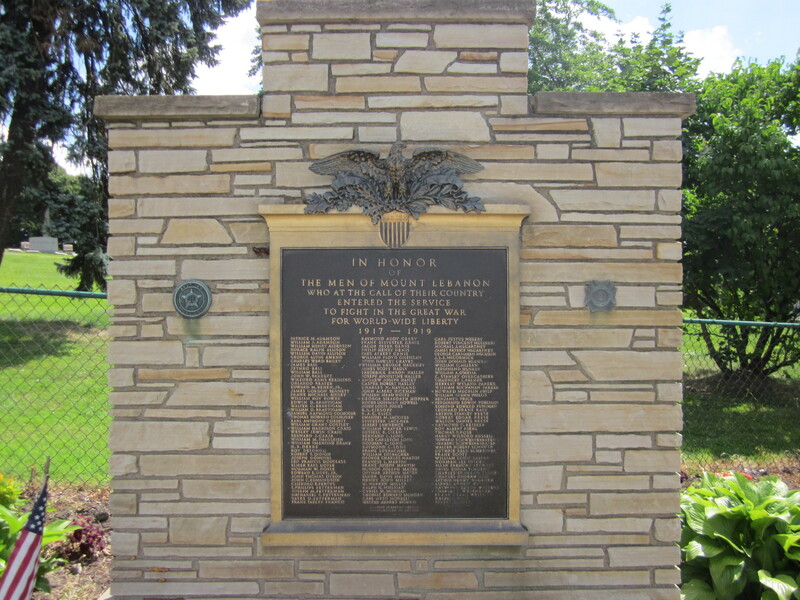 The honor roll distinguishes between those killed in action and those killed in service.